This past weekend my husband and I attended a wedding for two of our good friends. It was one of the most beautiful weddings I have ever been to. It took place at the Robert Hall winery in Paso Robles, CA. It's not Napa, but it is still wine country out there. The ceremony took place in the cellar, and was simple and sweet. The bride and groom have a 5 year old, and when he came down the aisle carrying that sign, I almost lost it. There were multiple times during the night I had to blink back tears. The food was amazing, and the desserts were even better! For the cocktail hour, there were stuffed mushrooms and prosciutto wrapped asparagus (I might never eat regular asparagas again). For dinner they served steak, with gourmet mac n' cheese. Then, there was a huge dessert bar with 5 types of cheese cake, cookies, tarts, chocolate covered strawberries, and so much more!! No detail was left undone, it really was a perfect night! Now, onto our Blog Hop! Thank you to everyone who participated in our blog hop last week, it was a huge success!! This is a pretty simple link up and all the directions are listed below. I would love for you to link up anything you've been working on lately. Perhaps you want to share your most recent vacation pics, or the book you're reading, or a really cool DIY... Anything goes here! Please link up, and remember to come back each week, and please tell your friends!! Thank you in advance, I look forward to all the fun! 2. Grab our button and post it within your post, or on your side bar. 3. 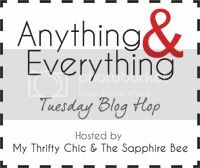 Visit as many blogs as you can, because after all, that's what a blog hop is all about! What a beautiful wedding setting! Linking up! LOve your dress and that food looks amaze!! Lovely dress and love that blue wedge. You look beautiful, Tori! Love your outfit!! Thank you for letting me be part of this reunion. Cute outfit! Looks like a beautiful wedding! New follower! Can't wait to get to know you more and would love for you to visit my blog! Nice, I really love your dress and that color necklace looks great with it. Is that their cat at the wedding? 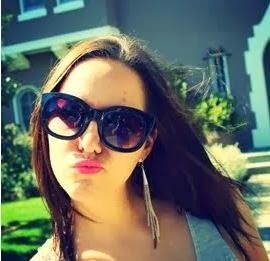 Gorgeous pictures, that dress is a great color on you! the wedding looks so elegant. and that adorable sign made me smile. I love your dress and the shoes! It looks like it was a great wedding! Cute Wedding. Love your dress!